Last year, Corcentric challenged students to develop a new product or service idea and marketing strategy to monetize Corcentric’s data. This year, the competition revolved around artificial intelligence (AI) and machine learning. 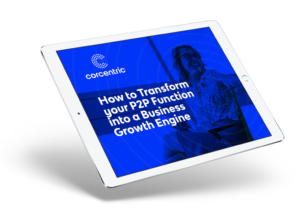 Since Corcentric’s services involve generating and processing vast numbers of transactions and other business information, resulting in huge quantities of data, the ability to leverage that data through the use of AI to improve and expand products and services is an important and forward-looking challenge. Students, divided into teams, were given one month to develop a product strategy to help Corcentric determine where it could use AI and machine learning to add customer value to our products and services. Teams looked at the competitive landscape for Corcentric and, with that top of mind, designed the strategies. 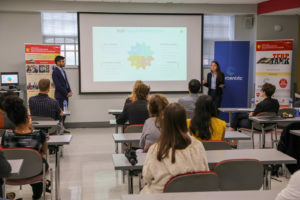 Student teams reviewed Corcentric’s products and services and analyzed the company’s markets, customers and competition. Next, they defined the top three types of artificial intelligence functionalities that Corcentric could offer to its customers. Teams then proposed a marketing strategy, identified risks and mitigation, and validated their findings through a customer prospect. Finally, students presented their findings to a panel of judges, including Corcentric’s Matt Clark and Sudarshan Ranganath, Vice President of Product Management for Corcentric. 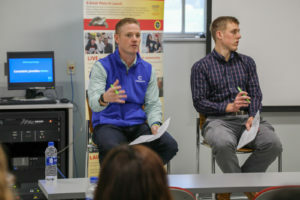 The judges scored teams based upon the tasks outlined above, as well as for their coherence, thoroughness, creativity, persuasion, and professionalism. 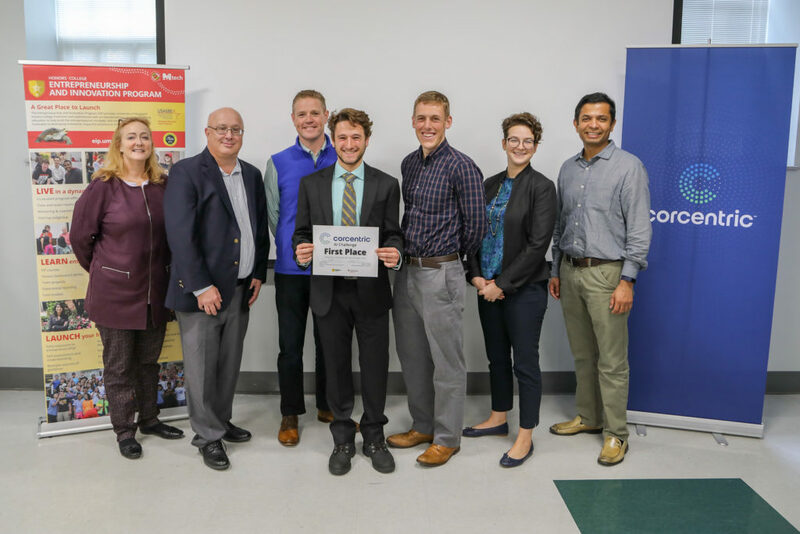 1st Place (and a prize of $1000) – Adam Rosenbaum, Ian Rosario, and Ritvik Jain for their presentation, “The Power of Foresight,” which illustrated how AI could be used in Corcentric’s billing solution for supply chain financing, payment management, and dispute management. 2nd Place (and a prize of $500) – Adharsh Babu, Aviral Agarwal, and Jonathon Taylor for their presentation, “AI Solutions for Corcentric,” which identified personal assistants to help access data and auditing reports and expenses for the best usage for AI and Robotic Process Automation. 3rd Place (and a prize of $250) – Ankit Sheth and Fiona Whitefield for their presentation “Corcentric,” which identified how AI, machine learning and robotic process automation could be instrumental in onboarding new clients; pattern recognition; and data inputs and invoice processing. Congratulations to all of the students that participated in this event. You are a testament to the excellence of the University of Maryland and your own visions.